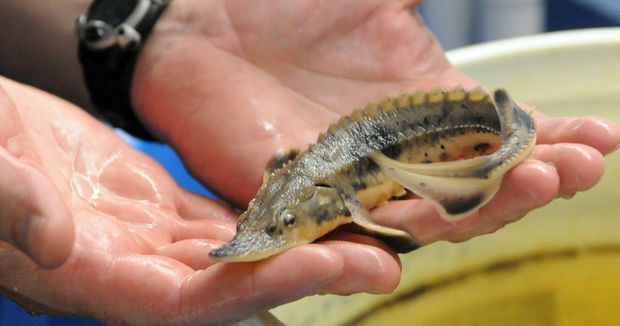 Thirty two juvenile lake sturgeon, about the size of this one shown, were found dead on the Muskegon River. Photo: MLive. MUSKEGON, MI – Wildlife and fisheries management is full of seemingly damaging actions — those undertaken to achieve some “greater good,” meaning the betterment of a particular species. We set fires to create prairies and improve habitat for butterflies; we allow wolves to be killed for the greater good of communities affected by having too many; and we treat rivers with chemicals to kill “rough” species, such as carp, so other popular game fish can thrive. But, what if attaining that greater good means killing a threatened species? I was troubled by what happened on the Muskegon River in September, when 32 baby sturgeons were killed during a sea lamprey treatment conducted by the U.S. Fish and Wildlife Service. The lampricide TFM — 3-trifluoromethyl-4-nitrophenol — can kill non-target species, but lake sturgeons are a state-designated threatened species. Extraordinary measures should be undertaken to preserve them. Work to restore them in the Muskegon River has been ongoing since 2006. What’s troubling is the kill could have been avoided with better communication between state and federal agencies and, perhaps, more flexible treatment scheduling. 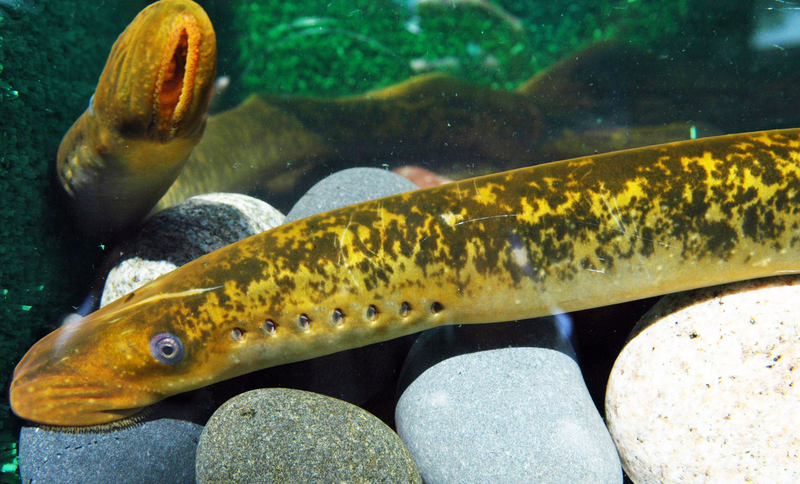 It appears the kill was the result of bad timing rather than the misapplication of TFM, the standard chemical used to treat lamprey-infested rivers. What happened, according to Smith, might be the result of changing weather patterns. Adult sturgeons in the river spawned later than usual, sometime in June, possibly because of the late spring and colder water temperatures. They still were upstream in mid-September. Normally, they are downstream or in Muskegon Lake. The young that died were 6 to 8 inches long; all were born this year. And it is known that sturgeons, like the mudpuppies that died, are susceptible to TFM. “We were never made aware of any concerns,” said Shawn Nowicki, the supervisory fish biologist with the Fish and Wildlife Service’s Marquette Biological Station. She coordinates the TFM treatment program. The Muskegon’s treatment was changed from mid-August to mid-September, she added, because of concerns sturgeon might be present in August. The treatment schedules for many rivers were all developed at that time. Work orders then went out to the field. The treatment was executed as planned, with no glitches. Everything was done to standard, Nowicki said. Anglers, however, reported seeing dead sturgeon along with walleyes, northern pike, smallmouth bass and salmon. That, she suggested, was a greater good. The Muskegon River is one of the largest sea lamprey nurseries in the Great Lakes. Jay Wesley, the southern Lake Michigan supervisor for the DNR, said, “It’s not big news that TFM affects non-target species. And, we write off other fish mortality for the greater good of the Great Lakes because we know we have to keep the number of lamprey down. DNR fisheries chief Jim Dexter concurred. Far too many to allow for a state threatened species. 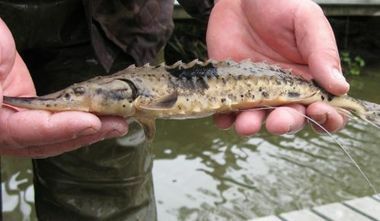 This entry was posted in Uncategorized and tagged DNR, Environment, Fishing, Lake sturgeon, Michigan Department of Natural Resources, Muskegon River, Sea Lamprey, U.S. Fish & Wildlife Service. Bookmark the permalink. Deplorable. I am impressed lately with all the problems that we seem to make worse due to poor communication. People in the U.S. talk a lot–especially on TV and on the Internet–but as a group we seem to be very bad communicators.